A top Indian Sinologist has pitched for giving the northeastern states greater say in Indian neighbourhood policy like China has given to provinces like Yunnan. Patricia Uberoi, honorary chairperson of the Delhi-based Institute of Chinese Studies, has in a paper tracked the transformation of the BCIM movement from Track ll to Track 1 and explained the vigorous role played by the Yunnan Provincial government in cementing the campaign for this sub regional cooperation. The paper is one of the 23 carried in a recent volume on BCIM edited by C Joshua Thomas and Gurudas Das and published by Routledge. “While China allowed Yunnan to take the lead role in forging cross-border sub-regional cooperation programmes, India’s northeastern states have not even been consulted in framing the neighbourhood policy,” Uberoi observes. 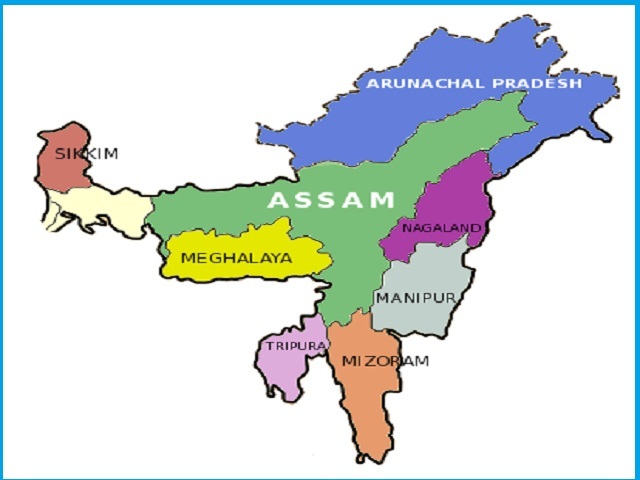 “Not only has the Lookeast policy, being mainly maritime driven, it has bypassed the Northeastern region. The inordinate delay in making a continental route has made the region a passive onlooker,” Uberoi writes. She notes that leaders from the region have even been excluded from participating in the India-China provincial leaders’ forum, a vehicle for cross border development cooperation between the two countries. Uberoi pitched strongly for Indian states like those in the Northeast to have greater say in Indian foreign policy. “They should be allowed to participate as responsible stakeholders especially on issues that affect them,” she writes. The volume with Uberoi’s paper hits the stands at a time when both the chief ministers of Assam and Arunachal Pradesh have pitched for opening the Stillwell Road for cross border trade with Myanmar and China. Arunachal Pradesh chief minister Pema Khandu argued for opening the Stillwell Road in presence of defence minister Nirmala Sitharaman in Itanagar last week. Three months ago, Assam chief minister Sarbananda Sonowal had also advocated opening this Second World War vintage highway. They seem to have been inspired by the informal summit at Wuhan between Indian Prime Minister Narendra Modi and Chinese president Xi Jinping. Both leaders agreed to carry forward the Bangladesh-China-India-Myanmar (BCIM) regional cooperation process.